Your romantic Caribbean escape to Couples Tower Isle just got even more luxurious with refreshed décor and furnishings across our premium all-inclusive couples oasis. Prepare to be impressed from the moment you arrive. At Couples Resorts we believe the finer details can define your romantic escape, which is why we look forward to welcoming you to our refreshed Lobby area. Our splendid water fountain and swaying palms encapsulate the blissful surroundings awaiting you upon your entry to Couples Tower Isle. Take a seat in our Lobby area and relax – this is a dream beginning to your romantic holiday, and we start as we mean to go on. From delectable gourmet dishes to delightful al fresco meals, enjoy the thoughtfully crafted Couples Tower Isle cuisine in the most luxurious settings. Dine at Bayside and lose yourself in blissful surroundings; the Caribbean Sea is your romantic backdrop for the evening as we deliver authentic Asian cuisine by candlelight. 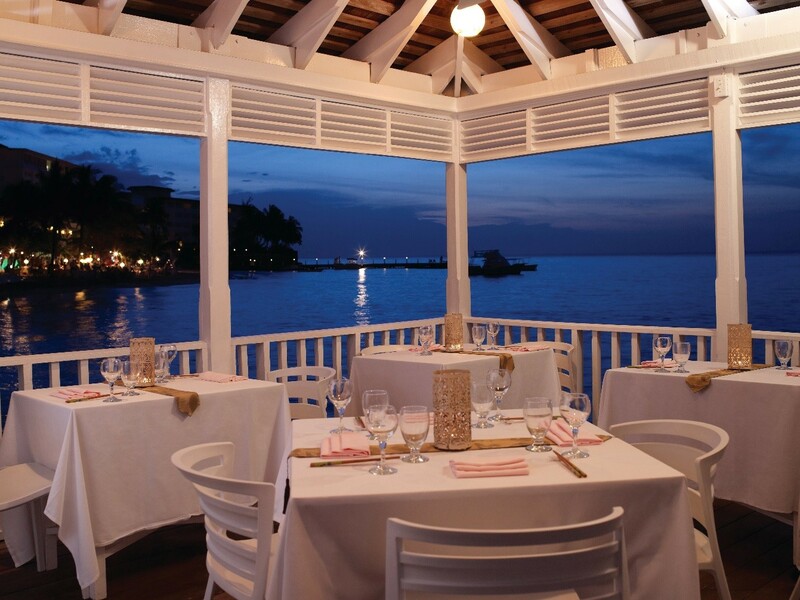 Recently refurbished to a 5* standard, Bayside offers a luxurious al fresco dining experience. Delight in our menu of the finest local produce, seafood and spices with your loved one. We invite you to experience the ongoing upgrades to Couples Tower Isle as we continue to improve your comfort in our Main Dining Room, Pool Grill and Main Bar. Satisfy your cravings at any time of the day or night with mouth-watering sandwiches from the Pool Grill or experience authentic and distinctly Jamaican dishes at Eight Rivers Restaurant. Premium all-inclusive luxury awaits in our spellbinding couples oasis; we look forward to welcoming you home to Couples Tower Isle soon. You can explore Couples Tower Isle, and all of our other Couples Resorts, by clicking here.